Whenever it’s time to replace aging fixtures or time for a fresh new look, it’s time to seriously consider a bathroom remodel. Myspace Remodeling can create your dream bath, one that’s both practical and stylish, at surprisingly affordable costs. Our experts in bathroom renovation can create whatever style you like whether traditional, country cottage, elegant, or modern bathroom decor. If you stop to think about it, the bathroom is where you start each day. So it helps set the mood for the entire day. And in the evening it can be your relaxing retreat. We’re experienced in making this special room a convenient and efficient part of your morning routine as well as in adding spa-like features for you to enjoy. Considering the prices of fixtures and materials (and our very reasonable rates) it’s simply not worth the risk and countless hassles of do-it-yourself, nor settling for anything less than the best. We’re true professionals for everything from small bathroom upgrades and redesigns to creating an entire master bath suite. So get the bathroom renovation you’ve always wanted, and increase the value of your home in the bargain. Our experts will work with you to create a unique and personal design so there’s no need to settle for cut-and-paste big-box store “designs.” In fact, we’ll work together with you start to finish, walking you through your options to create the ideal bath then follow through with timely top-quality construction and a minimum of disruption. We’ll turn what would have been an overwhelming project into a fun and exciting remodeling experience. We’re recognized throughout the LA area as expert and experienced re-modeler with a focus on quality, on-time completion, and customer care. As general contractors we handle all the “trades,” including carpentry and cabinetry, plumbing, electrical, and HVAC (heating, ventilating, and air conditioning). Our bathroom renovations can include fixtures, counters, cabinets, medicine cabinets, mirrors, lighting, floors, walls, ceilings, tile, and more. We can even construct a completely new bathroom add-on. Whatever work we do, we’ll take care of all the appropriate permits and inspections. The Myspace crew are true professionals who take pride in their workmanship. 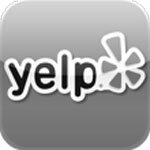 Our company is fully licensed and insured and uses only quality materials and fixtures. Our goal is to exceed your expectations, so we never cut corners to save time or money. We offer financing (up to 100% on approved credit), and guarantee your satisfaction. Take a look at our portfolio of completed bathroom designs to see how we blend function, convenience, comfort, and style. You’ll probably get some great ideas to begin coordinating with our designers. We’ll help you choose the exact model and features of fixtures from among the leading brands, or your own favorites to create an awe inspiring stunning statement, a quiet retreat, or anything in between. Together we’ll create the perfect match of style, color scheme, and materials. Or if you prefer we can work totally hands-off for your. After your approval of our design, the Myspace crew will go to work making the vision real. Here are the key items to consider. Myspace designers also understand the many functional and aesthetic aspects of lighting. They know how to create the best illumination for makeup and grooming as well as how to create special moods and striking splashes. The bathroom vanity is the hub of activity where it’s most important to combine practical convenience with outstanding looks. We can install pre-made bathroom vanities for economy, or create custom cabinets with absolutely gorgeous counter tops, including natural stone such as granite or marble. Beyond the sink area, our designers can maximize always-wanted extra bathroom cabinets and shelving. More likely than not you’ll be amazed at the huge variety of styles, finishes, and designs available for bathroom sinks and faucets. You’ll really appreciate our expertise in narrowing down those choices into something that fits your needs and style. Likewise, today’s toilets combine water-efficiency with an amazing number of designs, colors, and features. We’ll help you make the right tradeoffs and interior design choices. Nothing says quality like genuine bathroom tile, whether for floor, walls, or the shower. The experienced eyes of our designers will work out the best options from the seemingly endless different types tiles and colors, including decorative tiles and accents. Bathroom designs quite literally think outside the box with simply amazing walk-in showers that can be the ultimate in bathroom luxury. If you haven’t already looked into it, you’ll be impressed with options to the old shower head, including multiple nozzles and rain-like floods, automatic temperature controls, seating, and more. Likewise, tubs can range from retro-recreations to the equivalent of indoor jacuzzis. We can install replacement tubs and showers (with curtains or doors), convert a tub to a shower, or create a completely unique bathing environment with a custom designed walk-in tiled shower or natural stone shower. As needed we can add, remove, or modify wall surrounds. Give us a call for a free design consultation and estimate. 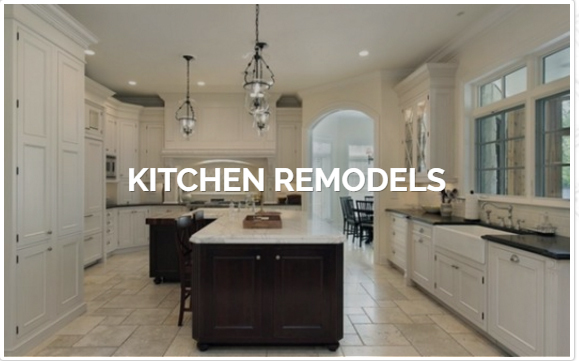 We’re ready for any and all remodeling needs. Moving forward we can work with you to create a unique custom design, aligned with your priorities, to produce the exact look, tone, and features you’re after. We have specialists in small bathrooms, master suites, and in-between. We’ll design to your budget, with approaches ranging from upgrading with manufactured units, to relocating fixtures, and all the way to custom cabinetry and counter tops, built-ins, decorative tile, and more. You can keep what you like, and replace the rest. We can even provide a home add-on for a completely new bath. In finalizing your design we’ll present you with a floor plan of the bathroom layout, product photos, color samples, and a rendering. As well as a detailed estimate and schedule. After your approval we’ll order all fixtures and materials and begin work only after everything needed has arrived. That way you won’t be dealing with multiple deliveries nor a stretch-out of the work period. 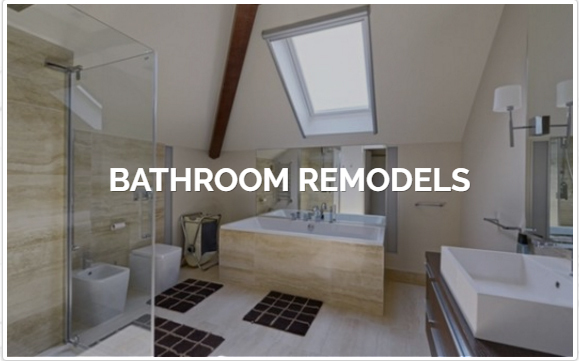 When it’s time for a hassle-free bathroom remodel, just call us to make those dreams a reality.